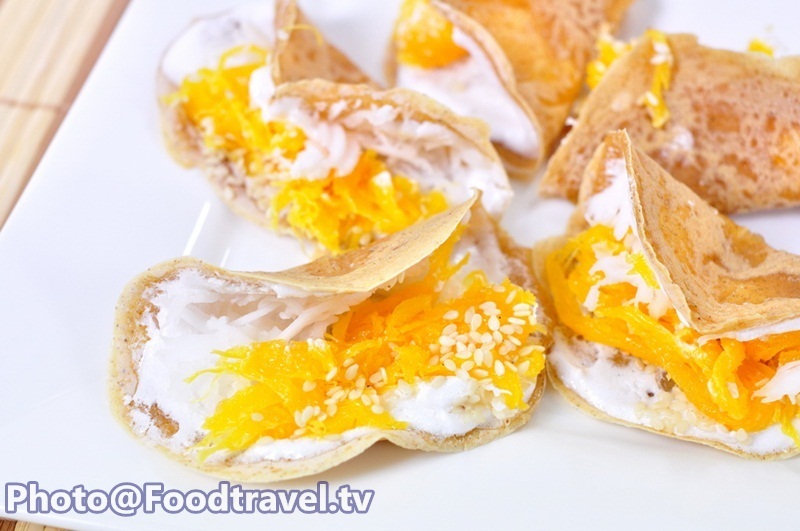 Thai Style Crisp Tart Sweet Filling (Kanom Bueng Thai Sai Wan) - This is a favorite dessert of many girls and many children. 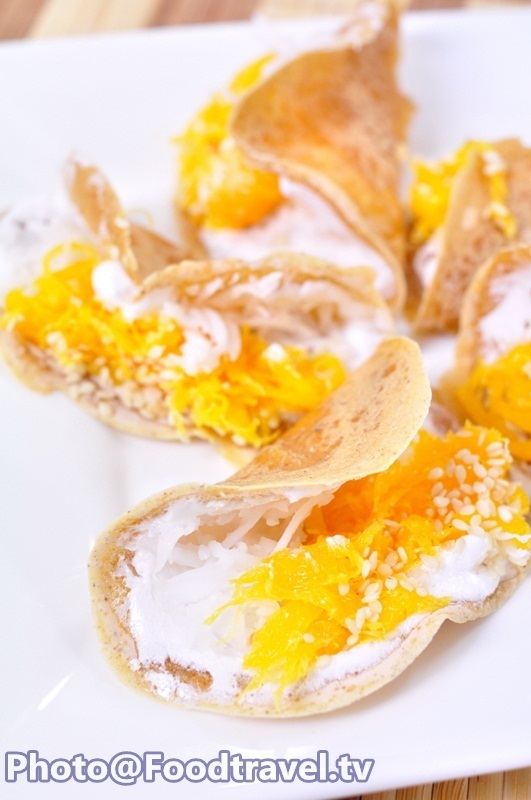 It’s different from traditional Thai pancake where we adding cream which can make by beating white egg with sugar until fluffy like Meringue. 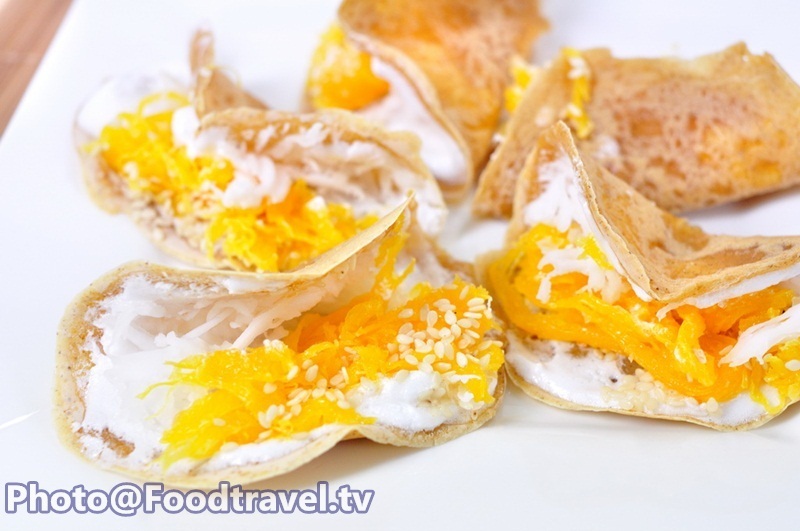 Sweet filling has Foi Thong and topped with white sesame. 9. Lime / cream of Tartar 1/2 Tsp. 1. 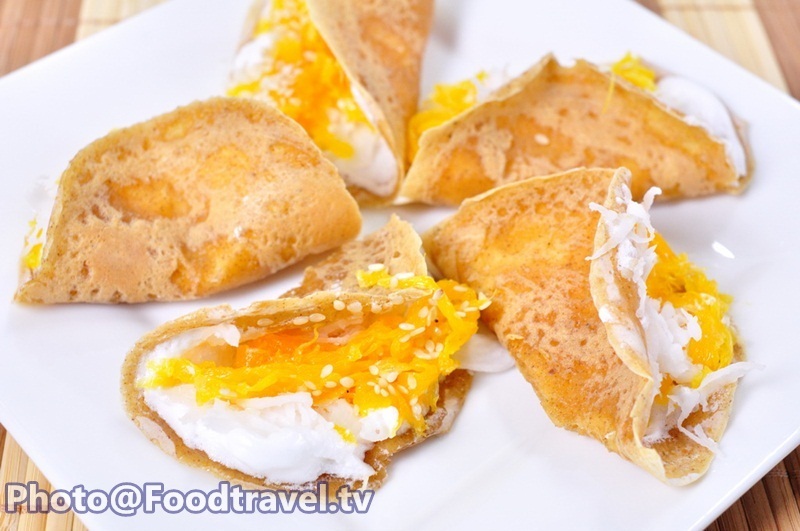 Flour pancake - a bowl of dry (Flour, rice, beans, flour, sugar) and mix to combine. Pour water into the yolk mixture alternately with water, lime treatment, but gradually build up the dough. Massage until soft. The shadow of the dough (about 5 minutes of massage), powdery lime juice mixed with water, eggs (at the end) Do not massage the starch granules were closed for 1 hour. 2. Candy and face - a pancake pan or frying pan over low heat for a gold band. Smear out the dip pancake batter. Smear in the pan in a circle waiting for the dough is cooked (dry powder), brush with egg white mixed with sugar in it (smear) are cooked to a dry, fluffy and white. seasg as needed. It is sweet to your order. 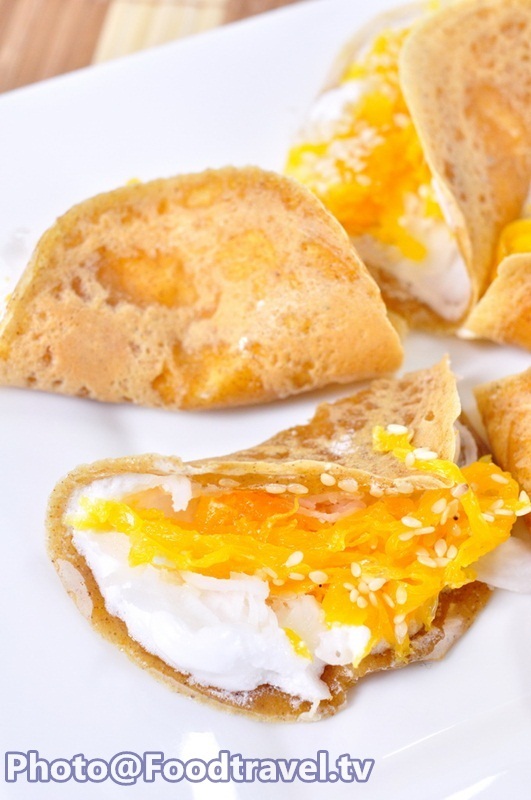 Tenth coconut, sesame, shredded fabric of the dough starts to change color. Use the trowel to shovel and then fold in half. Spoon on a wire rack to cool the room. (If the container is heated. The dough will be soft water).